The Nugent Commission of Inquiry heard from former Finace Minister Malusi Gigaba, current Finance Minister Nhlanhla Nene, Judge Dennis Davis and Bain managing partner Vittorio Massone in a full day of testimony. Massone says he doesn't see the need to apologise for anything else, and doesn't feel like he needs to apologise to SA taxpayers. With that Nugent brings the day's proceedings to a close. He says there will likely again be hearings in October. Massone is now asked whether he wants to apologise for anything that Bain did at SARS. In response, he says he wants to apologise if he or the commpany didn't treat some SARS employees professionally during interviews... "the people who felt mistreated"
The evidence leader now moves onto the the tender that SARS put out for restructuring, and the fact that Bain managed to respond to the tender within a very short space of time. 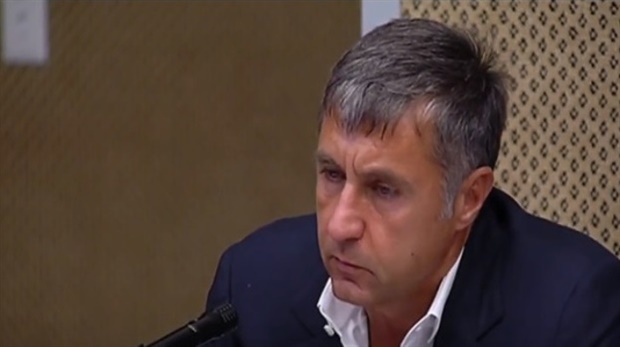 Massone says the company did not have advance knowledge of the tender. "It was not very complicated," he says. He adds that no-one told him what the price of other bids were. The evidence leader states the commission still needs to interrogate documents relating to prices and bids. Massone says the meeting with Moyane the year before he started working at SARS was not unusual. He says Bain meets people and expresses views on companies all the time. "His ambition was to become the commissioner of SARS," says Massone. He says he gave Moyane a pretty "positive point of view" of SARS based on publicly available data, including the press, websites. "So you told him things you read in the newspaper?" asks Nugent, a note of incredulity in his voice. The commissioners again ask Massone to explain what happened. "He called us and said 'can we meet you on this topic'. We spent a few days putting together a document." Massone said he would try to look for the document. "I cannot locate the date [of the meeting] in my mind". He says he wasn't paid for the work. He "bumped into" Moyane a few times afterwards at social events. Asked by the evidence leader, Massone confirms he met Moyane before Bain started working for SARS. He says he met Moyane in about 2012/2013, at the time when Moyane was working as the commissioner of correctional services. He said he had no relationship with Moyane at correctional services. Massone says Moyane was one of a number of people he met at events when he was "building the business in South Africa". Massone now says he met Moyane sometime in 2013 - a year before he became commissioner - to talk about SARS. The members of the commission appear genuinely surprised by the revelation. "I think it was before [he started working at SARS]," says Massone. Massone, the managing partner of Bain & Company's Johannesburg office overseeing sub-Saharan Africa, is now asked what he thinks went wrong at SARS during or after the restructuring. He says three things went wrong. Nugent says that he had heard that 200 people were "dislocated" or "displaced" due to the restructuring at the tax agency, and had to apply for new jobs. "Hearing about the 200 people is concerning," says Massone. He says new jobs were created where old jobs were changed. "The sum [of jobs lost] was going to be zero," he said. "The mandate was to have everyone reallocated." Massone says the structure that Bain recommended was the new right structure for SARS. He says that Bain should not be held accountable for how the restructuring was implemented. "We believe, and we still believe - compared to the structure [SARS] had at the time - [our proposal] was better." "Everyone we have heard complains about the breaking up of the Large Business Centre," says Judge Nugent. He is addressing Vittorio Massone, the managing partner of Bain & Company's Johannesburg office overseeing sub-Saharan Africa. "I have heard not one person being critical of the LBC." "The point is that everyone - without exception - no-one has come and said it was a good idea [to break it up]," says Nugent. "I don't think it was a mistake," says Massone. He says the LBC could have worked better. Massone says questions of what went wrong at the restructuring at SARS - which Bain won a tender for - should be directed at the people who implemented the changes, not Bain who drew up the proposals. The inquiry has restarted after lunch. Global consultancy Bain & Company in 2015 will give evidence regarding its 2015 consultancy work in changing the tax agency's operational model. Evidence leader Advocate Carol Steinberg is questioning Vittorio Massone, the managing partner of Bain & Company's Johannesburg office overseeing sub-Saharan Africa. The commission has gone to lunch. Proceedings will resume at 14:00. Tshitangano says that, according to SARS records, the changing of the operational model should have taken place in two phases. The first phase was drawing up the proposal - for R3.2m. The second phase was implementing the project, which appears to have cost R151m. Tshitangano says the justification by SARS for not having to get the tender greenlit by Treasury was that it was an "emergency" - a loophole allowed under regulations. Nugent asks whether there was any competitive bidding for the second phase of the project. Tshitangano says there wasn't. In previous notes, SARS had said the second phase of the project should have been put out to tender. Tshitangano notes there was a R50m third phase, to conclude the "implementation' of phase 2. The commission is battling to understand what the need for phase 3 was. Tshitangano notes that consultancy Bain was able to provide a price to SARS on the day the tender was put out, on December 12, 2017, which is "strange" as it should have taken longer to work out how much it would charge. Tshitangano says that, according to notes of an internal SARS Bid Adjudication Council - or BAC meeting on the turnaround tender, "time was of the essence" to appoint the consultancy. It appears to be unclear, based on the notes, what the deliverables were, he says. He says the company was not properly appointed, with numerous red flags. "The process was not done properly. You cannot say the company [Bain] was properly appointed." Tshitangano says the tender period for the SARS "turnaround plan" was "very short", about a week. This was under the 21 days that usually applies for state tenders. Tshitangano says Treasury never received any letters from SARS on why the tender period had been reduced to about a week, and why the tender was put out in mid-December. He says a number of issues around the tender was "very strange". "My suspicion is that Bain may have ... been approached, were aware of the scope [of the tender] and may have started preparing [before other consultancies were briefed]." He says he still needs to get feedback on these issues. 3. And then...tadaaa! Bain & Co gets the tender anyway. Evidence leader Advocate Carol Steinberg says the commission will focus on Tshitangano's knowledge of SARS' procurement of global consultancy Bain. Bain has come under repeated criticism during previous hearings for the role it played in advising SARS on a change in its operational working model under former commissioner Tom Moyane in 2015. Judge Dennis Davis, presenting evidence earlier in the day, called Bain's proposal for changes 'insane'. Solly Tshitangano, the procurement officer from National Treasury, will now give evidence. The trip became a hot topic during minister Malusi Gigaba’s testimony at the Nugent Commission of Inquiry on Friday.Gigaba was grilled on the trip by evidence leader Advocate Carol Steinberg, as he had approved the trip without getting any clarity from Moyane, who was in Russia from November 18 to 23, 2017.Gigaba was the minister of finance at the time. Moyane, who couched the trip as an urgent meeting with his Russian tax counterpart, meanwhile was expected to provide a feedback report upon his return. Davis says that during his time on the Davis Tax Committee - appointed by then minister of fiance Pravin Gordhan before Moyane was appointed as SARS commissioner - the committee was not given the final report on THE proposed restructuring of the tax agency's working operational model done in consultation with consultancy Bain. "I never understood what the need for this restructuring was," he said. "Mr Moyane wouldn't give us one [final report]. In many instances we couldn't get figures [from SARS]," he said. He appears to have later seen the report, however. He says that, in time, his relationship with Moyane and other top SARS officials became "incredibly unpleasant". The relationship started to go downhill after he was misquoted in a newspaper article. The article was fixed. "Our information dried up. We [The Davis Tax Committee] were working without any cooperation from SARS at all". Davis has now finished his testimony. Davis tells the commission that "everything that is coming out now was known". He gives the example of problems with VAT refunds, saying that it was known that this was an issue within SARS during the tenure of Tom Moyane. But officials feared to speak out. He says SARS officials spoke to him privately about problems. "[They spoke about] all the stuff that is now coming out in the public domain ... they feared for their jobs." Davis adds that it must be made easier for whistle blowers with the tax agency to come forward without fear of repercussions. 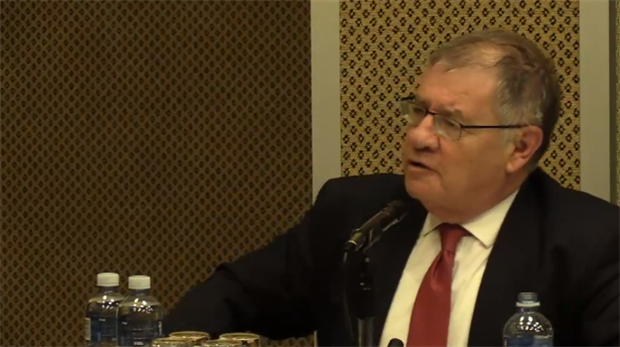 Davis says that tax legislation in South Africa is poorly drafted. "My general standard view to students is only an idiot or a genius could understand this". "We need to capacitate this." Davis says the proposed SARS oversight board would have more of a "helicopter view" and not become involved in the day-today running of the tax authority. "It deals with policy questions, and it may have to deal with performance questions." Davis has presented two ideas to boost governance at SARS. In addition to "diffusing power" with the appointment of independent deputy directors, he says an oversight board would improve governance. "Both of [these ideas] are a hell of a lot of better than we have at the moment," says Davis, who has said power needs to be spread out with checks and balances. Davis says that, in time, he hopes that a tradition of political accountability will develop. Officials credibly accused of wrongdoing need to resign and not be promoted, he says. Executive team of commissioners and deputy commissioners? Davis says that spreading the authority of running SARS out, by boosting of independence of deputy commissioners, for example, would increase corporate governance at SARS. He says that at other tax agencies worldwide, a "team" runs the agency. "Power is diffused," he says. "I think would wouldn't want one person ... to [run the agency]". Judge Dennis Davis, the chair of the Davis Tax Committee, has started his evidence. Nene has now finished his testimony. The commisison will take a break before judge Dennis Davis presents evidence. Asked about bonuses, Nene he would support giving the minister of finance oversight over the payment of bonuses to top SARS officials. Katz now asks Nene on his thoughts about instituting an oversight board for non-tax issues at the agency. "I would support that," says Nene. "You would have oversight institutionalised'. Nugent asks Nene about evidence heard previously at the inquiry about strained relationships under Moyane between SARS and other government agencies, including National Treasury. Nene says it worries him. "It goes to the heart of a fully functional institution." Nene is now asked by the evidence leader whether he would support regular mandatory meetings between the SARS commissioner and the Minister of Finance. He says he would. It appears that meetings take place on an ad hoc basis at the moment. New procedure to appoint commissioner? Nene is asked by the evidence leader to wallk the commission through the appointment procedure for the SARS commissioner. He says the post is first advertised, and then applications are forwarded to the presidency. The president then appoints the commissioner. Evidence leader Steinberg says that, according to Gordhan, the process to appoint the commissioner should include shortlisting, rigorous interviews, competence testing, and more. Recommendations should then be made to Cabinet, and then sent to the president. Nene says he would support anything that would result in the selection of the best candidate for the job. He says he does not want to go into details, but it may make sense for Parliament to be involved in the process of choosing the candidates. Nene is now asked about the relationships between the minister of finance and the commissioner of SARS. "At times, it relies on personalities. [They] do play a role," he says. 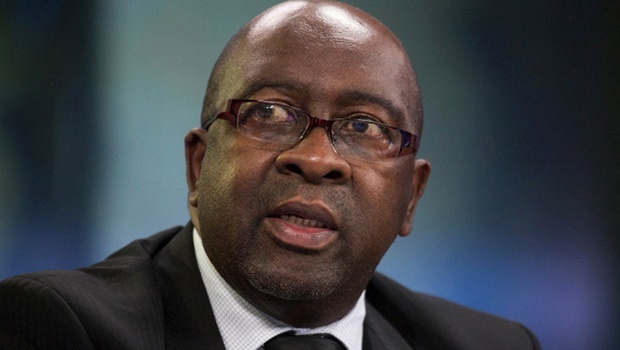 Finance Minister Nhlanhla Nene has started his testimony. He is asked by the evidence leader about the 2015 restructure of the tax agency's operational working model, which took place during his first stint as finance minister. "The intentions were noble indeed," says Nene, who says he received two memos from now suspended commissioner Tom Moyane about the matter. Nene says that - in terms of legislation - the change in the organisational model was an operational matter, and the changes could have gone ahead without his approval. The commission has heard that the change in SARS' operational working model hurt the agency's tax revenue collection abilities. Asked by Prof Michael Katz, Nene says he approved the process of the restructure, not the results of the restructure. Gigaba is now asked of he has anything to add, and he says he doesn't. He is excused. His testimony lasted for about an hour. Finance Minister Nhlanhla Nene is next to present evidence. Evidence leader Adv Carol Steinberg now brings up a request that Moyane made in late 2017 to visit Russia. Steinberg says the commission received a letter from SARS acting commissioner Mark Kingon about the trip two days ago. "There is an urgent need for me to work with the head of the Russian federal tax service," states the request made by Moyane, according to the letter. He was in Russia between November 18 and November 23, 2017. Steinberg notes that, according to Kingon, the international relations team at SARS were not aware of the trip. "[The] Circumstances and secrecy of the trip are suspicious," states Kingon in his submission. "I think the commissioner should be required to provide details," says Gigaba. "I myself would be keen to know what was the purpose of the trip." Gigaba says he received no feedback from the commissioner after the trip. He says the request was given the green light because it was "urgent". "I expected there would be a report submitted afterwards," he says. He says at the time the request was made he had no reason to be suspicious of anything. Gigaba is now asked whether former commissioner Tom Moyane , who has been suspended, acknowledged problems at the agency in discussions with him. Gigaba replies by saying that Moyane was aware of concerns at the revenue service, especially when he accompanied Treasury officials on road shows overseas, when meeting with ratings agencies, and international bodies, and the like. He also says that he met with SARS employees who told him of problems at the agency under Moyane. "Ultimately, I felt that we needed to propose a commission," said Gigaba, saying that the commission was the best "guarantee" that the concerns would be addressed. "The leadership is the fulcrum around which everything revolves ..." says Gigaba. "At all times we have to be able to explain ourselves and account to [....] various institutions." "You are a servant of the public." You can watch News24's live stream of Gigaba's testimony at the link below. The commission's chairperson, Judge Nugent, asks Gigaba about leadership at the tax agency, working together with other government agencies and testimony from former and current officials about unhappiness working at the agency. Gigaba says leadership needs to be mature. "The problem arises when I, in executing my responsibilities ... think that I will not listen to the other person and work with them."